Menolly pulled away. "What good's a beating then, if it's numbed away first chance?" And she dashed out of the Hall. Much Mavi cared if she hurt, anyhow, except that a sound body works harder and longer and faster. Lee Wind at I'm Here. I'm Queer. What the Hell do I read? has asked us to join him in reading the American Library Association's Top Ten Most Frequently Challenged Books for 2010. Now, the challenge isn't "official" but I feel that we should all read at least one of these (Twilight is on the list) just to prove we can read whatever we want. Check out his post about the list and join us! The list came out in April of 2011 and he'd like to us read the books before the next list comes out. I wonder if I can count And Tango Makes Three if I read it again? My Review: The book ends with a chase scene with no way of knowing if Bella will survive (well, there are three more books) and I just didn't care. In fact, if Bella was to live, she should have chosen Jacob. Took me a whole week to read this. I love the "unsuited to age group" reason. I think there are a lot of parents out there that have no idea what their kids know! And if the target audience is 15-year-olds and the main character is 15-years-old, how is this unsuited to age group? 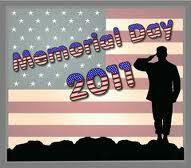 For all my USA friends....remember those who have paid/are paying for our freedom. 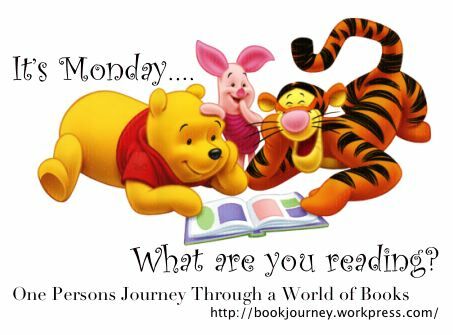 Mailbox Monday is a place to share all the wonderful books that have come to live in your home– including paper books, e-books and audio books. Mailbox Monday was started by Marcia of The Printed Page. When Marcia was ready to move on from being the weekly host, she was kind enough to set up the Mailbox Monday Blog Tour. Check it out so you know where to go next month. This is the last week at MariReads (blog link, not post link). Next week is June so we'll be heading over to The Bluestocking Guide. See you there! How could I have missed this one? 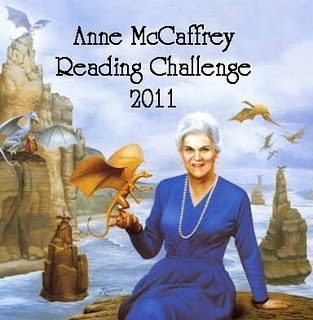 I LOVE Anne McCaffrey and have been reading her books for over 25 years! Information and sign-ups are here. I do have a huge number of other books to read for challenges/review so I don't feel I can read ALL of the books Ms. McCaffrey has written, or even just the Pern series. I do want to re-read the Harper Hall trilogy. If time permits, I'll read others. I spent some time at my SIL's home, watching the house and playing with the dogs. I had a great time with Splash and Lucky. I received a thank you phone call (all that I expected). I know she had a better trip knowing the dogs were cared for and I was happy to do it. Imagine my surprise when I received a package in the mail from Splash and Lucky! Thank you, thank you, thank you. Chocolate and book money! 26 letters and 52 weeks. You'll always know what letter because week 1 is letter "A" and so is week 27 :-) Find a book that you find interesting who's title starts with this week's letter. If you've reviewed it, give us a link, but it isn't necessary. 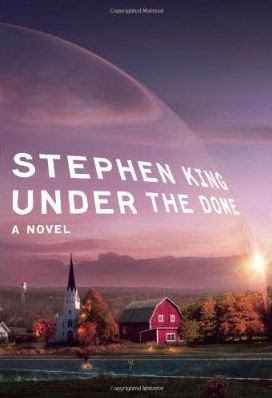 When the small town of Chester's Mill, Maine, is surrounded by an invisible force field, the people inside must exert themselves to survive. The situation deteriorates rapidly due to the dome's ecological effects and the machinations of Big Jim Rennie, an obscenely sanctimonious local politician and drug lord who likes the idea of having an isolated populace to dominate. Opposing him are footloose Iraq veteran Dale “Barbie” Barbara, newspaper editor Julia Shumway, a gaggle of teen skateboarders and others who want to solve the riddle of the dome. This is a HUGE book! My copy (with this cool cover) is a trade-size paperback and it's 1,088 pages! I love the cover and want to read more SK but so many are too scary for me and this one didn't seem so bad. I haven't started it yet and it may take another year before I do but the book was at Costco and I do love their book prices! Nope, not going to do it. Can't. Not. Enough. Time. Trust me, you won't be able to complete this one, this time. sigh.... I hope she does it again! Hosted at Worth Reading it? 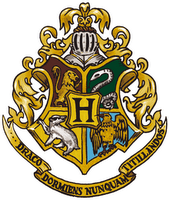 In the Hogwarts Reading Challenge you are a student of the school. You will be sorted into houses. Each book you read must fit in to the subject of one the classes. You do not have to read books that fit all the subjects. Each book equals one point (toward the house cup). You must read at least 5 books (audio books counts) before you are enter in to the drawing. At the end of the Challenge one person will win a $15 Amazon Gift Card and one house will win the House Cup (purely a pride thing). I will post all of the Mini Challenges in the next few days so that everyone can plan out their books in advance. To be eligible to win prizes you must have a blog and sign up using Mr. Linky. Then start a Hogwarts Reading Challenge post and link it back to this post. ****Update you can be eligible for prize if you become a member of I Love Reading Challenges on Shelfari and keep the list of the books you read for this challenge under the Hogwarts Challenge post there. You can also become a fan of the I Love Reading Challenges Facebook fan page and keep you list there as well. When you copy this post onto your blog just list the book you read for the challenge under the subject to which it fits. Please list books using numbered bullet points. This makes keeping track of points easier for me. You can be a part of this challenge on Shelfari I Love Reading Challenges group if you do not have a blog. He held his face in his hands. This was all wrong. He had no options. It was a trap, but now he had to ride it out. Falcon took some deep breaths to steady himself. It didn't work. He turned, leaned forward, and vomited. Mailbox Monday is a place to share all the wonderful books that have come to live in your home– including paper books, e-books and audio books. Mailbox Monday was started by Marcia of The Printed Page. 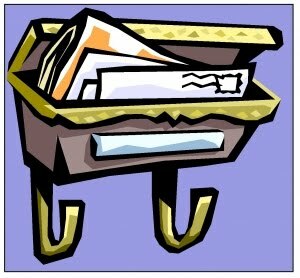 When Marcia was ready to move on from being the weekly host, she was kind enough to set up the Mailbox Monday Blog Tour. Check it out so you know where to go next month. May's host is MariReads (blog link, not post link). "On Christmas Eve, if you sleep with kismet cookies under your pillow and dream of your one true love, he will be your destiny." Sarah loves Christmas. Her parents aren't exactly the lovey type, she attends boarding school, but the Christmas holiday, and summer vacation, is spent with her Grandmother. 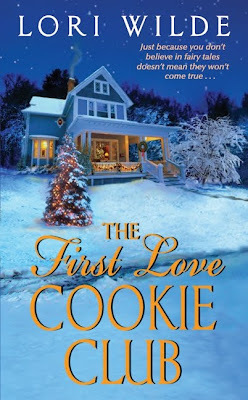 Memories of her visits, the town and baking help her during the school year but the book starts with baking cookies and dreaming of her one true love and his wedding to someone else. "There she was, a chubby teenager with braces on her teeth and reindeer antlers on her head and jingle bells on her sweater vest, standing between a bride and groom on their day, professing her love to a grown man who clearly did not love her back, while nearly the whole damn town of Twilight looked on, amused by her abject humiliation." Well, you can imagine what this does to the poor girl and her love of Christmas! Sarah is all grown up in chapter one, still hates Christmas, but has written a Christmas book....for children. This wouldn't be a romance book without the "and they lived happily ever after" part which would seem hard to do if her prince charming has married someone else and you refuse to return to town. 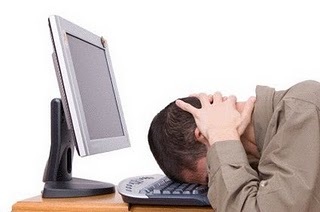 What to do....what to do.... Enter a dying child's last wish. The Mayor of the child's hometown will give Sarah the key to the city, she'll be the guest of honor at the town's annual Dickensian Christmas Festival, all kinds of book related stuff....and wouldn't you know it, the child lives in Twilight, Texas! Don't let the page number scare you, this was a fast read for me. The characters come alive, drawing you in. I should have set a timer because I lost all track of time and truly wanted to move to Twilight! I'm looking forward to reading the rest of the series. Series order: 1. The Sweetheart Knitting Club, 2. The True Love Quilting Club, 3. 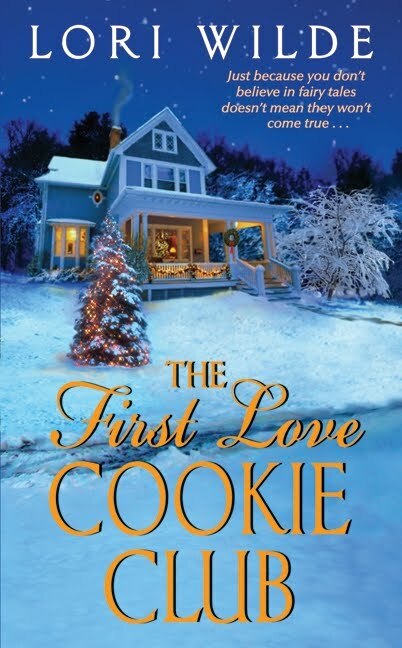 The First Love Cookie Club, and 4. The Welcome Home Garden Club. Billy Bixby woke up one morning to find a dragon in his bedroom. It was about the size of a kitten. 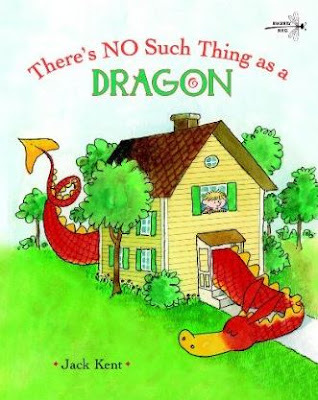 Now the size is important because when Billy told his mom, she said "There's no such thing as a dragon". The dragon is ignored all day and spends the day getting bigger. It also does several cat/dog like things that should have been disciplined but how do you discipline something if it doesn't exist? I love picture books! Especially the ones that sneak in a moral that isn't readily apparent. This one had two! Everyone just wants to be recognized and the things we say can have affects we don't realize. 52 weeks. 52 books. 52 pounds. The goal of the challenge is simple. It will go from June 1st, 2011 to June 1st, 2012 – 52 weeks. In those 52 weeks, challenge participants will try to 1) read one book each week and 2) lose one pound a week. If all goes well, a year’s challenge will lead to 52 books read and 52 pounds lost in 52 weeks. It’s that simple! 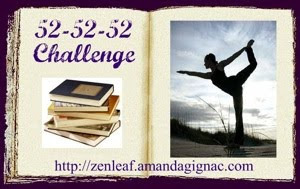 This challenge is being hosted at The Zen Leaf. The main challenge page is here. This challenge is now being hosted at Mandaland with a link in the sidebar. I do belong to another 52 books in 52 weeks challenge and have already failed because I missed a couple of weeks but this one doesn't start until next month and I can concentrate on the health part each week as well as the number of books read. I love that challenges can overlap and that this 52 in 52 adds the health challenge. Side note: haven't failed, she just wants us to read 52 books this year. There are five important notes about the challenge on the main post plus letting us know that while she won't tell us how to lose the weight, she recommends SparkPeople (so do I). I hope she gets a team going. Current six weeks here then move to another post with notes. *26 makes halfway! Examine, re-group, PUSH! Book two of a Trilogy, after Death Rides a Chestnut Mare. Young twins Jed and Tim Strange set out to find their sister, who left home to avenge their father's murder over a year ago. But when they're accused of a murder they didn't commit, they must go on the run to find the true killers. I must admit that I only picked up the first book in the trilogy (Death Rides a Chestnut Mare) because of a Piers Anthony book, On a Pale Horse, which is about Death. I don't even remember why I was in the western section of the bookstore but I so enjoyed the trilogy I've branched out and read other western books. For me, who grew up with Science Fiction and Fantasy, a "Western" novel is no longer a reason to ignore a book.